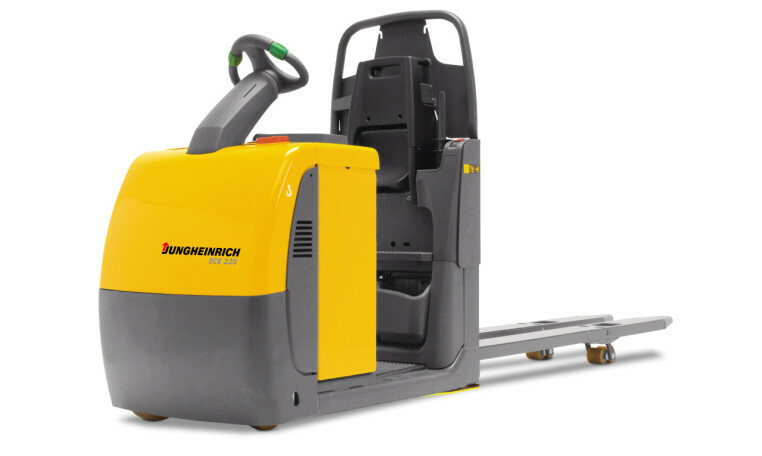 The Jungheinrich ECE 220-225 combines maximum picking performance with optimum energy efficiency and first-class operator comfort. 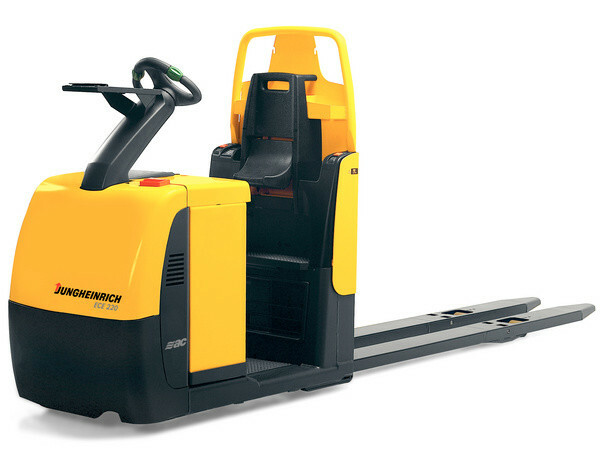 The basis for this is the combination of high technical performance with a number of ergonomic advantages. 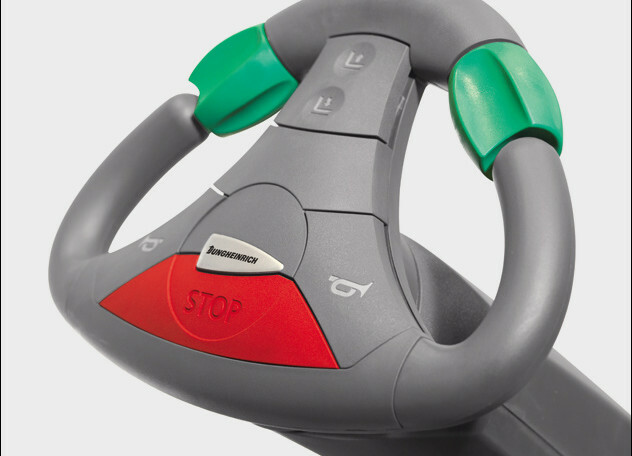 Intuitive and comfortable operation, similar to a car, plus a safe and secure grip. Lessening the strain on neck and spinal column when cornering. Safe cornering speed due to Curve Control (optional). Optional 'Drive Plus' performance package with highly efficient 3.2 kW motor for even greater drive and acceleration performance with load-dependent Curve Control. 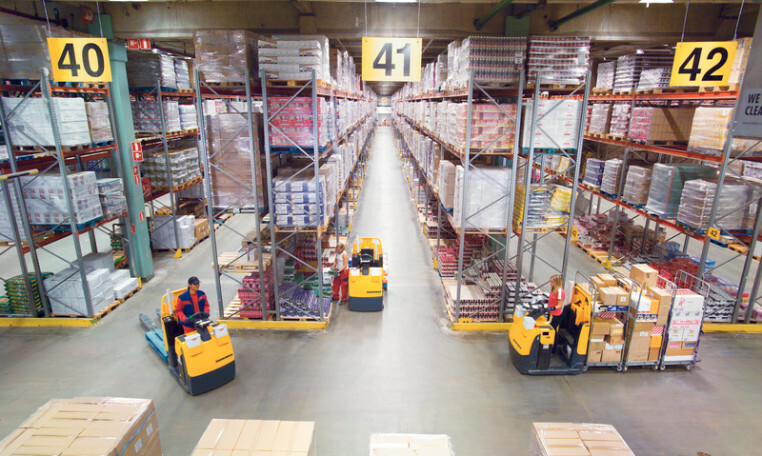 Optional 'Drive & Eco Plus' performance package for additional energy savings. Wide range of tailored storage options such as the shrink wrap holder on the front cover. Backrest versions to suit different needs. Additional cushioned stand-on platform (optional). Touch mode in the backrest for faster order picking (optional). Rapid lifting of the load by double pressing of the lift button (optional). Extra-high frame apron in high-grade steel on front cover. 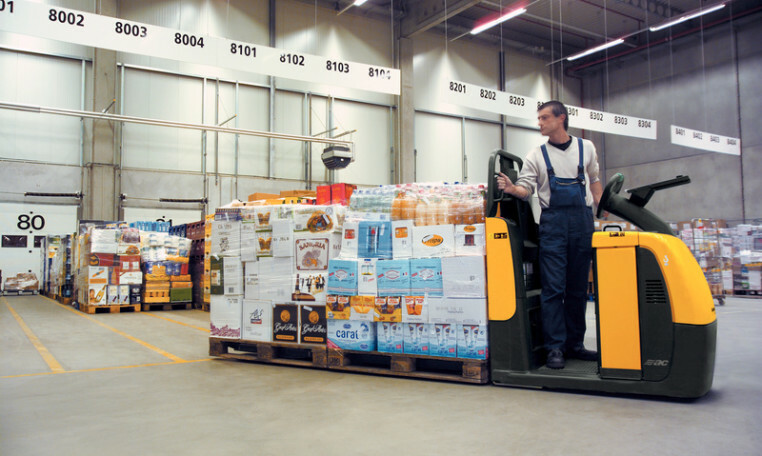 Tension-proof load forks with draw bar kinematics prevent distortion even with heavy loads and long forks. 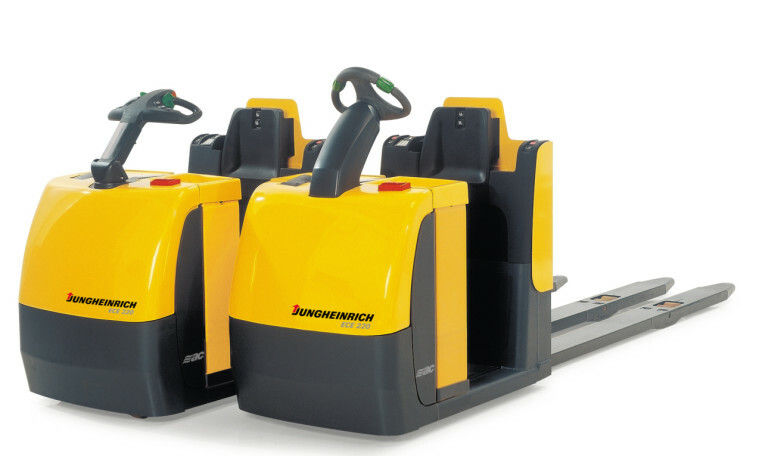 2.5 t capacity for the transport of up to three pallets simultaneously. 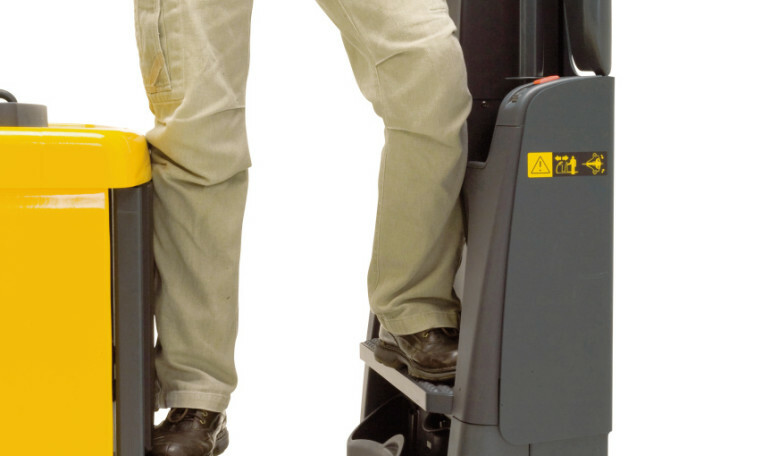 Safe and rapid raising and lowering of the operator up to the height of the battery cover. 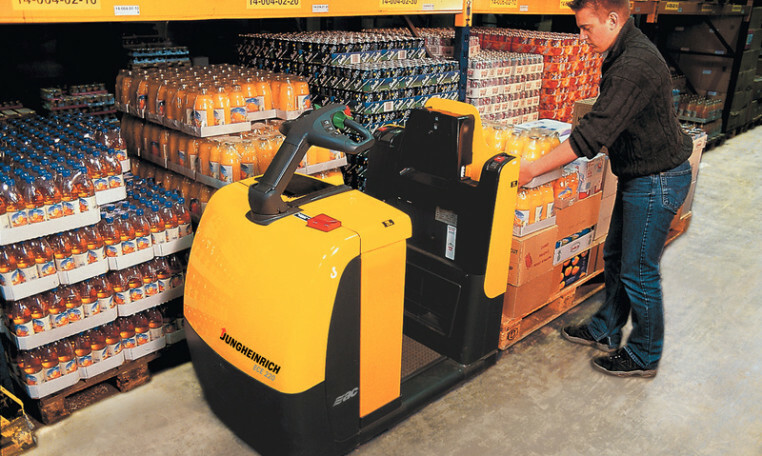 Effortless operation of platform via foot pedal, leaving hands free for order picking. 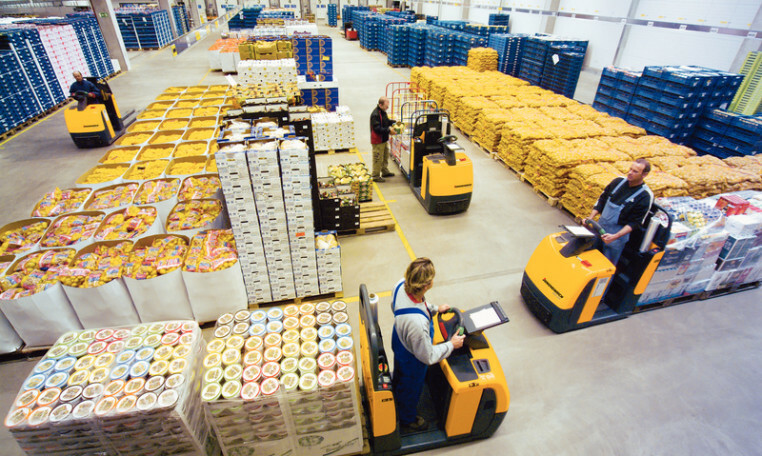 High degree of order picking efficiency due to immediate proximity of operator to load. Different batteries available from 375-620 Ah. 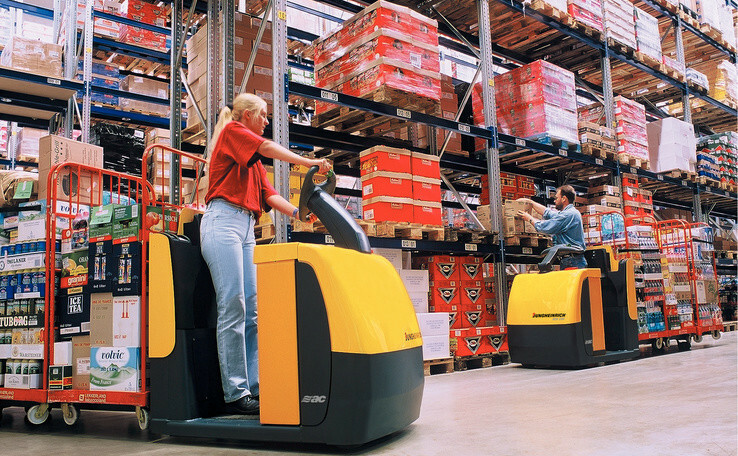 Lateral battery exchange for multi-shift applications (optional). Activation of the truck by EasyAccess via softkey, PIN code or transponder card (optional). 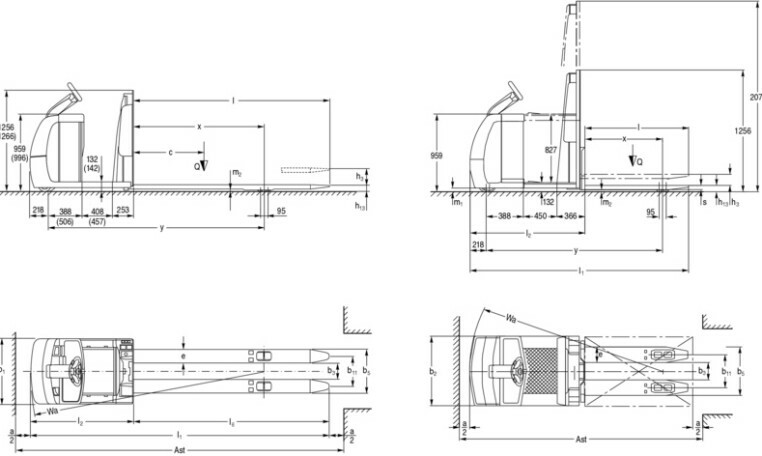 Integrated dayLED front spotlight for better visibility in poorly lit halls (optional). Floor-Spot: The risk of collision at blind spots is significantly reduced by a red light spot projected on the floor approximately 3 m in front of the truck (optional). High truck availability due to extremely short charging times: After a boost charging time of just 30 minutes, the battery is charged to 50% and after 80 minutes to 100%. Proof voltage always ensures full power. Costs are saved due to longer service life and low maintenance compared with lead-acid batteries. Additional accessories for working at the second rack-level.